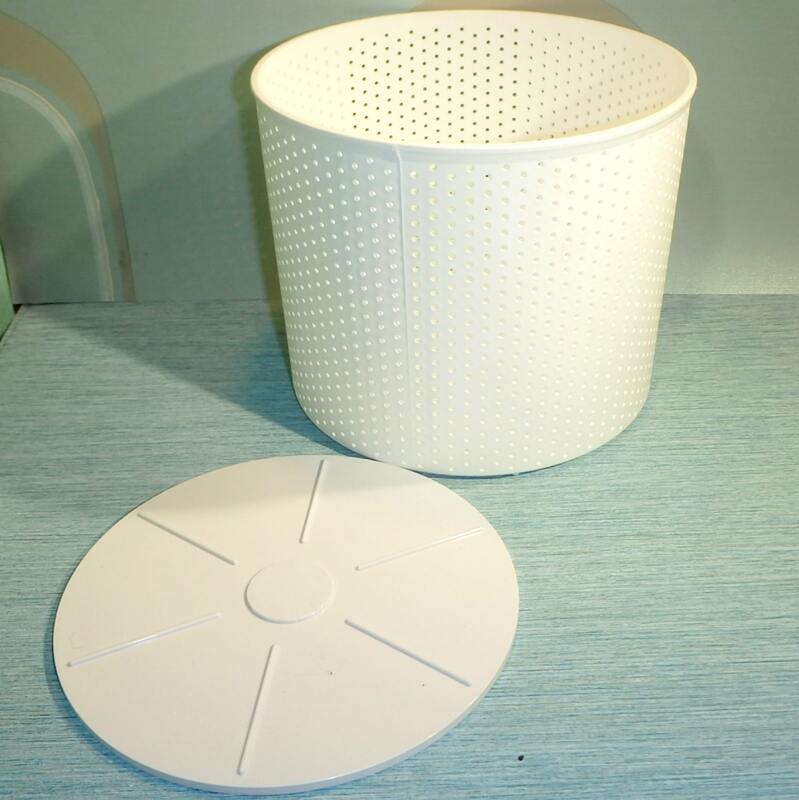 This Cheese Basket is 165 mm wide and 140 mm high. They are perfect for making larger wheels of cheese and we use them for semi-hard and hard cheese when using the follower. Can be used as a large hoop (with bottom) for making blue, Stilton, and brie. Purchase this product now and earn 12 Little Green Points! This cheese basket 165 mm wide, and 140 mm high. A follower is included and both are ideal for use with our stainless steel cheese press with spring to make that perfect cheese at home. 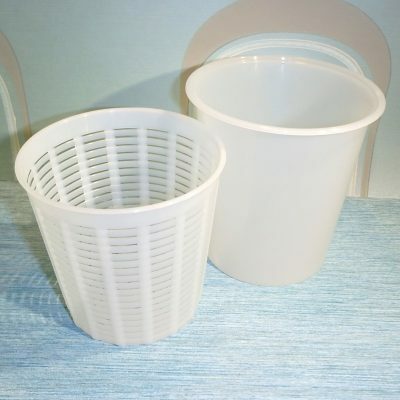 I prefer to use this basket when making batches of cheese with 10 to 16 litres of milk. Note: Plastic items should not be sterilised by immersion in boiling water, but rinsed with boiling water, to prevent warping. 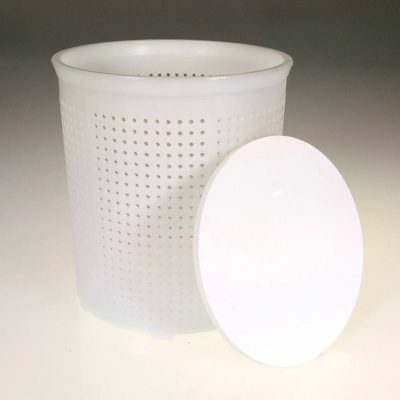 A sterilising solution can also be used, but must be fully rinsed off. What a workhorse this basket has become! 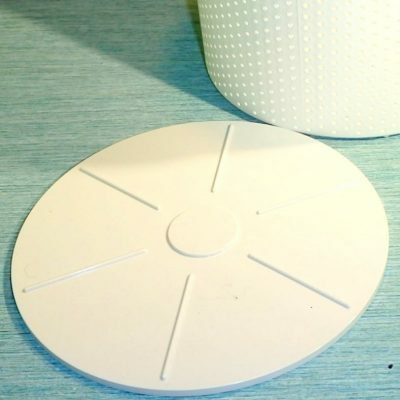 It is my go-to for nearly every pressed cheese I make — ideal proportions, excellent drainage, and a follower that fits well and has a recessed area that helps centre the spring in my press. I will certainly recommend it, and would happily buy another one. Thank you, Gavin! My favorite basket! Next order i will get another one. Perfect size and very well build and finished. Great mould at a good price. perfect size for my hard cheeses. 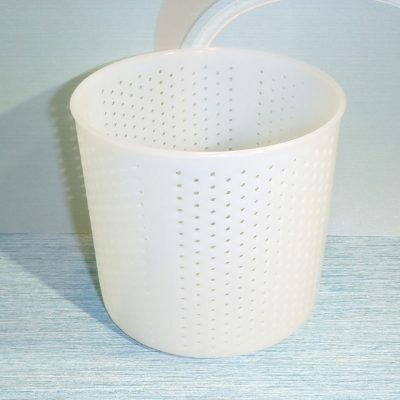 This basket has a lot of holes, and these are good for curd draining ! 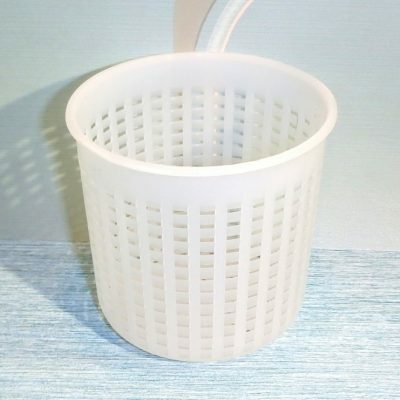 This basket is nice and smooth – it doesn’t have the sharp little ridges that catch the cheesecloth as I’m trying to line the basket!! Especially when I’m turning the cheese over between pressing. 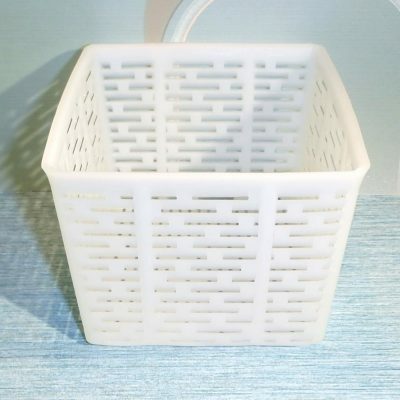 The perfect basket… Good size, good design and I’m currently doing my first hard cheese with. A Frenchman who needs fresh and homemade cheese. This is The One. 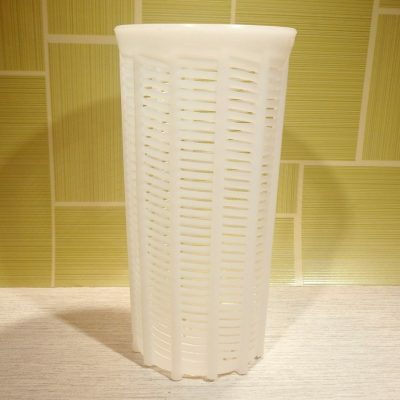 I have several molds but this one is just perfect if you want to that professional look. Hey, I’m now making cheese like the ‘Man’ himself. 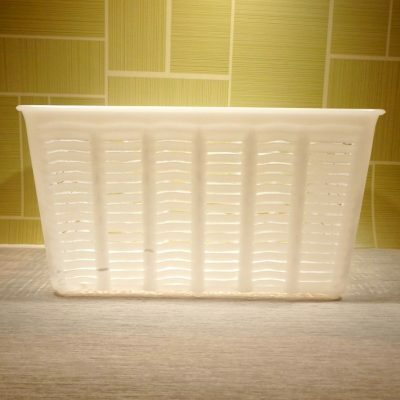 I am very satisfied with this Cheese Basket 165 mm with Follower. It is a great basket to have at hand.